Great interior design doesn’t have to be limited to large rooms with tons of space. One of the most frequent questions I get from clients is how to design a small nursery space. Typically, the nursery usually ends up being the smallest room in the house—oftentimes it’s that room you use as the “junk” room that’s half guest room, half office, half mess (pardon my math). 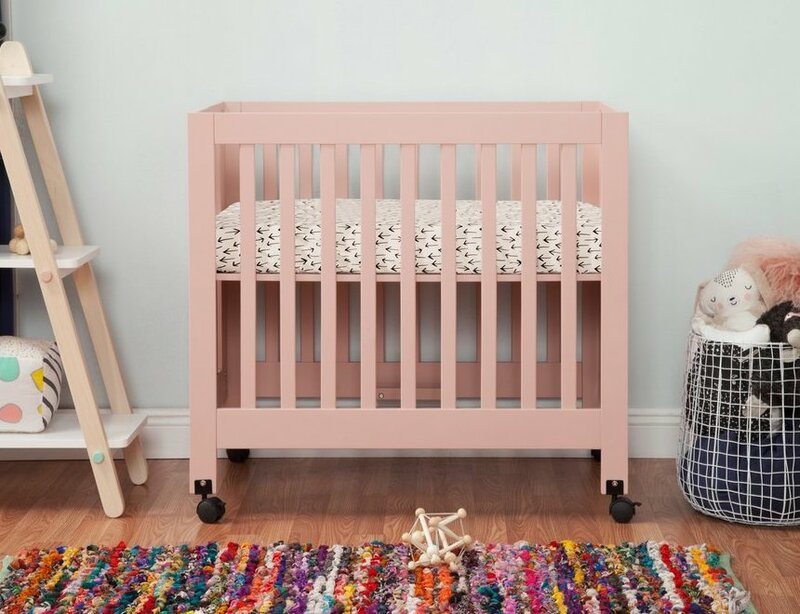 A full size crib can take up a lot of space, so one of the best options for really utilizing the space in your nursery is to get a small space crib, or a mini crib. Luckily, there are a lot of beautiful options out there now. Here are some of my favorites! The Alma Mini Crib by bloom is designed for urban spaces and is all about style, mobility, and storage. What I love the most about this is that the whole thing folds up into a super small piece that you can just stick in a closet. You don’t even have to take the whole thing apart either—it’s very simple. Simple = awesome. It also has the option for a changing table attachment which sits right on top. It’s a very modern crib though, so if this isn’t your style, keep on reading! OK, another fairly modern crib, but this one is much more retro. The Mid Century Mini Crib is from a newer line that West Elm released in partnership with Pottery Barn Kids. To us nursery designers, the launch of West Elm’s kids line was kind of a big deal. Anytime a new brand comes onto the scene with new crib designs, it feels like Christmas (or Hanukkah, or Kwanza, or Tuesday—whatever gets you excited). The fact that they offered a mini crib as well was just a bonus. The J’Adore Crib by Bratt Decor is a much more traditional mini crib. I still remember when I first saw this crib in person for its debut, and I was so excited to have another interesting option to offer to my clients. 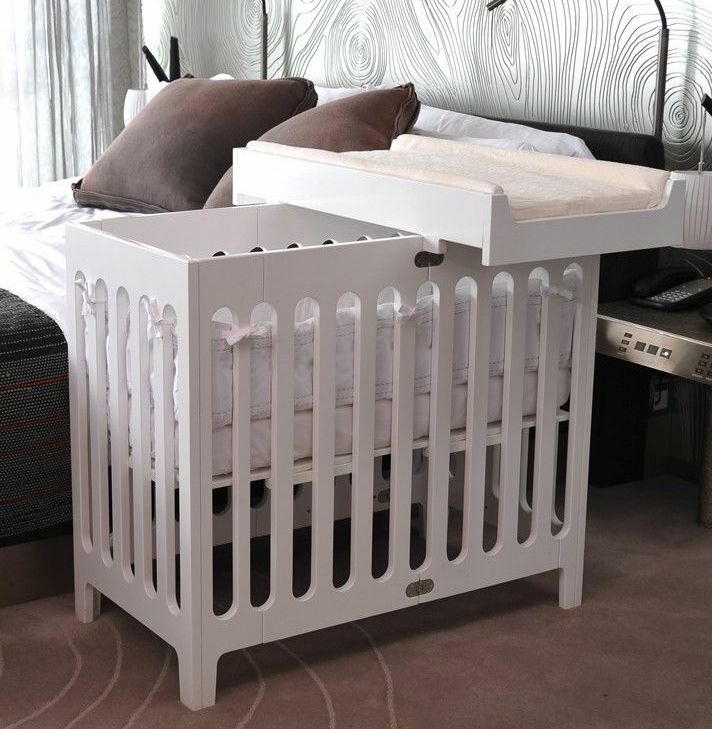 Bratt Decor is known for their iron cribs that have beautiful detail and a gorgeous textured finish. I love that this crib also has a low profile so it’s easy to lean over (unless you’re super tall). If you’re not familiar with the Stokke Crib, you definitely should be because it’s amazing. 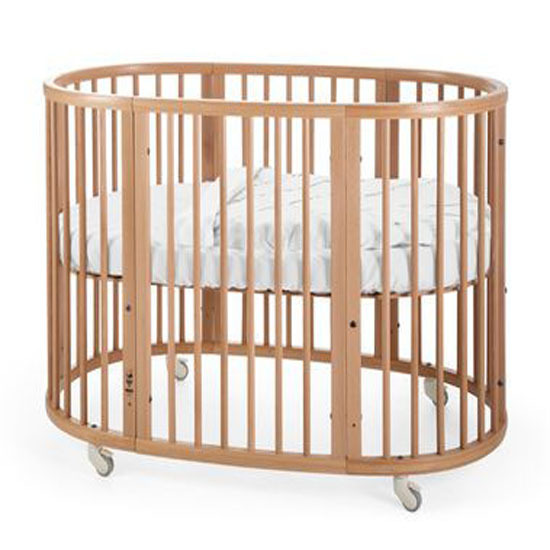 Not only does this crib grow with your child by accommodating his or her ever changing sizes and needs, it’s also a really great option to use in a small nursery. It has casters, so it can be rolled around and moved very easily, or locked into place. If your house has a lot of wood floors or flat carpet, the casters will be a lifesaver! But if you have thick or shag carpet, it will be harder to drag around. I happen to be an acrylic nut. My dining chairs are acrylic. I have acrylic bookshelves in my office. I constantly suggest acrylic pieces to my clients. So you can imagine my excitement when Nursery Works debuted an all acrylic crib. Then they made the Vetro Acrylic Mini Crib as well, giving us acrylic-obsessed designers another option for small nurseries. Another more modern style is the Origami Mini Crib from Babyletto. This super functional crib folds in on itself like an accordion, and can be rolled right into the closet for storage, similar to the Alma Mini Crib I mentioned above. This one is a bit simpler in style, and it’s mega affordable. It also comes in lots of fun colors, like this pretty blush pink shown above. 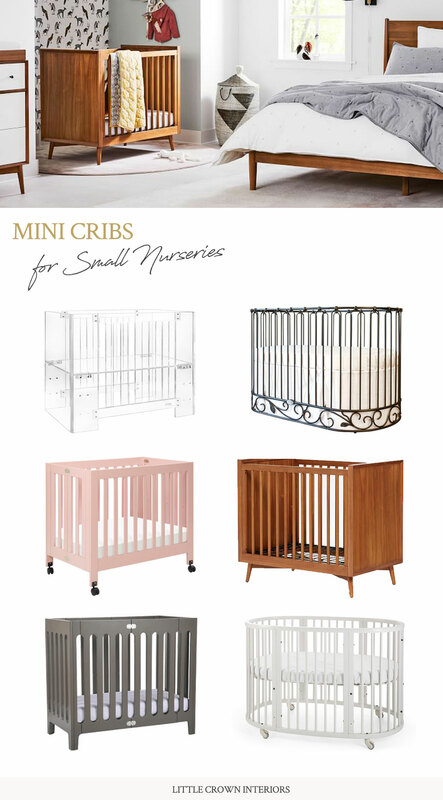 Mini cribs really are a fantastic way to create more space if you have a small nursery. Just make sure to purchase the coordinating crib mattress and sheets too – regular ones won’t fit!